Grid Pad 12 is designed for communication all day, every day, using any access method. 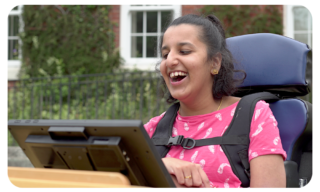 Our most flexible solution for people with complex access and communication needs. 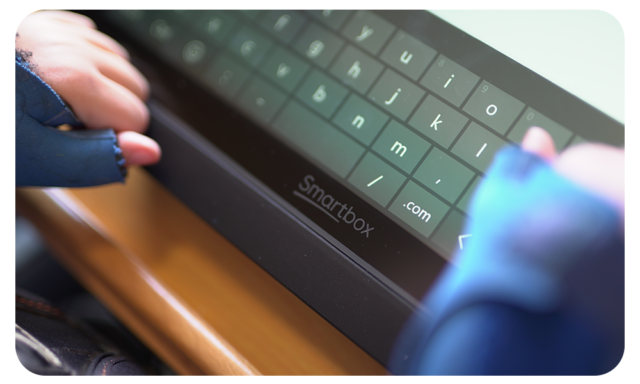 The new Grid Pad 12 is a dedicated device and has been designed in collaboration with AAC users. A long 15-hour battery life, rugged design and multiple access options ensure you always have your voice. Grid Pad 12 has the latest generation Intel core i5 processor, with 8GB RAM and a solid-state hard drive. This fast processor enables seamless communication, so you can keep up with conversation. Grid Pad 12 is designed to help you communicate all day long. 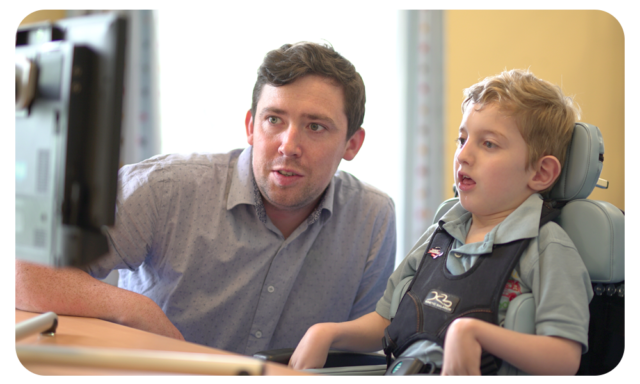 The large battery provides up to 15 hours continuous use, or 10 hours with eye gaze. 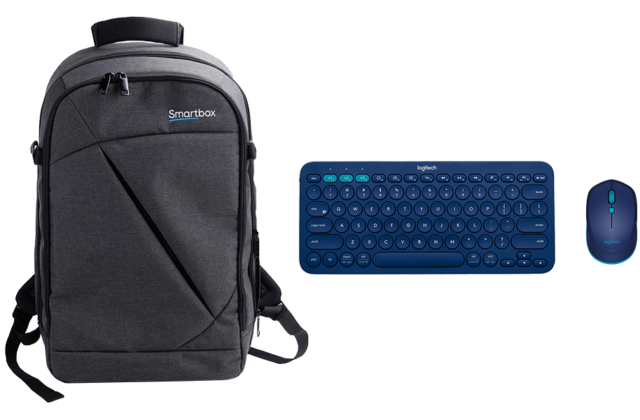 Grid Pad 12 comes with our remote power button, to give you more independence. If you are not physically able to press this power button, you can plug any switch into the button and use it to turn the Grid Pad 12 on. Grid Pad 12 is designed for Grid 3, our flagship software for communication, Environment Control and more. 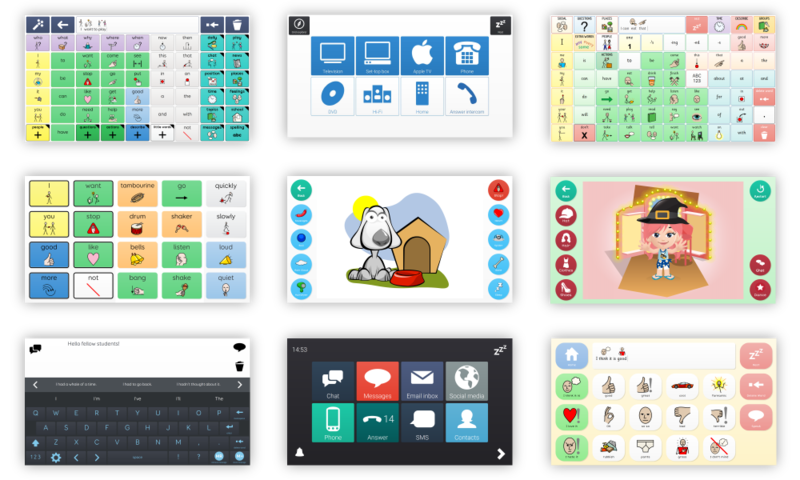 Grid 3 includes a wide range of AAC resources, designed for people of all ages with different levels of literacy. 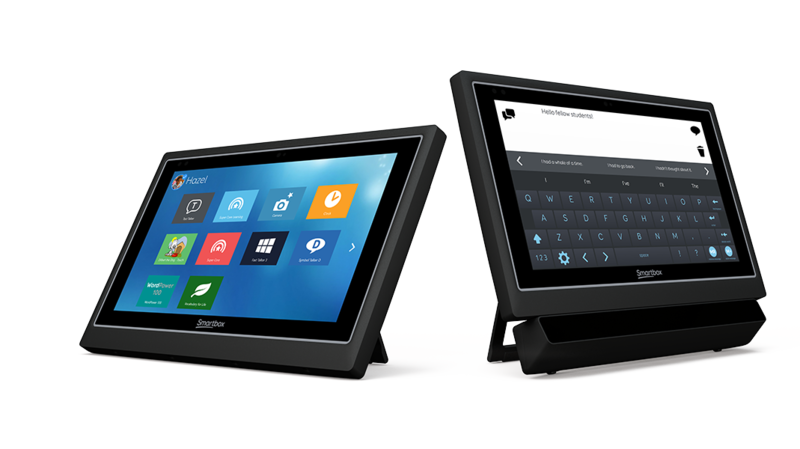 Grid Pad 12 has a 12.5” HD touchscreen, with a hardened glass display. The anti-glare finish makes it easier to see the screen when you are out and about. Robust keyguards with secure fastening are available to order for any grid set in Grid 3. Grid Pad 12 has two USB ports on the back of the device that enable you to use any other type of alternative access device, such as a joystick, trackball, SmartNAV or Quha Zono head mouse. 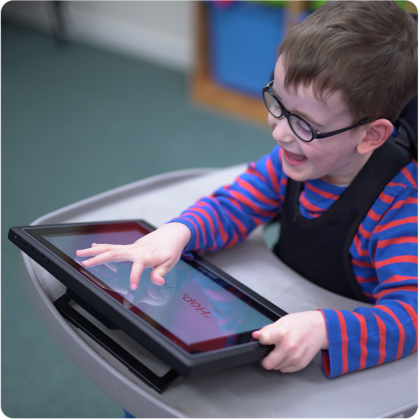 Grid Pad 12 works with all major eye gaze technology. 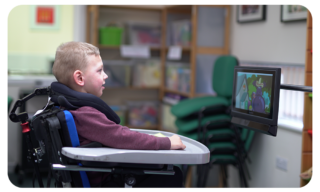 A purpose-built eye gaze module is available with the EyeTech TM5 or Irisbond Duo camera. This module turns the Grid Pad 12 into an integrated eye gaze communication aid. 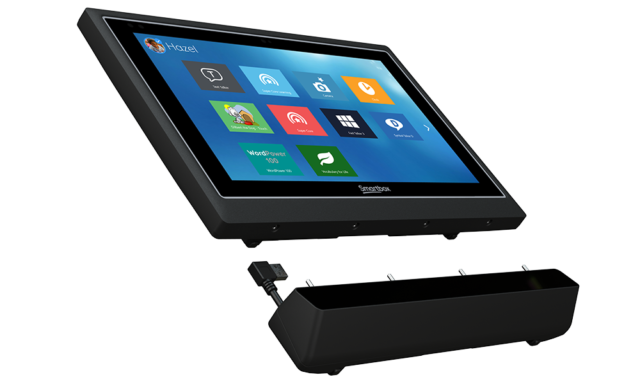 Bespoke mounting plates are also available for Alea, LC Edge, myGaze and Tobii PC Eye Mini cameras. There are two built-in ports for switches. These specially reinforced ports are also recessed for added protection. The headphone socket can be used for auditory feedback, useful for people with visual impairment. In Grid 3, this enables you to hear what a cell will say before you choose to select it. Grid Pad 12’s integrated speakers have been engineered to produce high quality sound and volume – to help get your message across effectively, wherever you are. Rehadapt and Daessy mounting options give you choice and flexibility in every environment. Use Grid Pad 12 anywhere with the variable angle desk stand. 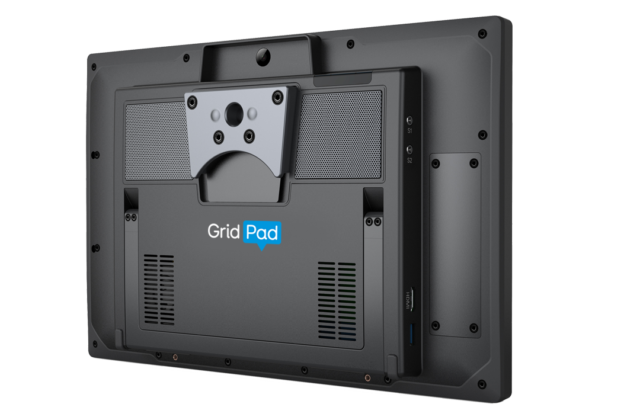 Grid Pad 12 comes with built-in infrared and radio Environment Control. 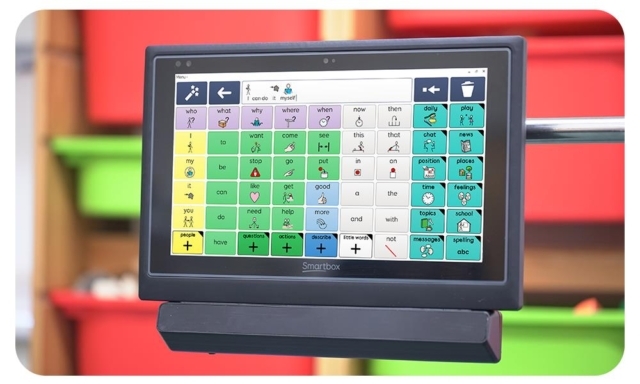 There is a front-facing infrared learning window to make inputting commands easier. We have a range of accessories designed to help you get the most out of your Grid Pad 12.